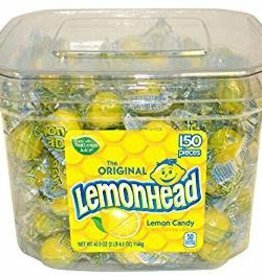 Lemonhead Lemon Candy 150ct. Jar. Made with Real Lemon Juice! Natural & Artificial Flavors. Lemon Heads are the original lemon candy with a sweet and sour shell. 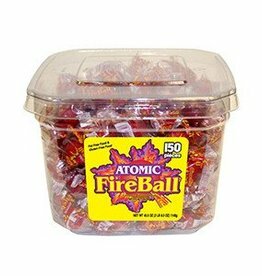 Atomic Fireball, 150ct. Tub. Atomic Fireballs... they don't call them "fireballs" for nothing! Basically a jawbreaker, these individually wrapped panned candies are about 3/4 inch in diameter.